At BHMS, your PTO does not ask you to buy wrapping paper or popcorn, and you won't be asked to "stalk" your co-workers selling candy bars. Our PTO uses the funds & points obtained through the programs listed below to directly benefit our children & our school. The funds allow the PTO to provide a variety of things (student enrichment, assemblies, books, clubs, buses etc. ), while the points help to purchase much needed supplies (for art, PE, classrooms, etc.). General Mills "Box Tops for Education" can be found everywhere, on a wide variety of items, including Huggies products, Cottonelle products, many Betty Crocker and Pillsbury products, numerous brands of cereal, Yoplait yogurt, Juicy Juice, and many more. (For a full list of participating products, click here.) 10 TOPS = $1.00 for our school!! Simply clip the Box Tops cleanly along the dotted lines, being careful not to cut off the expiration date, and turn them in to your child's teacher or school office. If you have not done so, please register at www.btfe.com - also double check and make sure your Kroger Card is registered at www.rewardyourschool.com- this is an additional way to earn eBoxTops when purchasing the participating items at our local Kroger stores. Did you know that over 175 retailers give eBoxTops to your school when you shop them via the Box Tops for Education site? 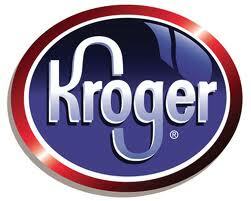 Bloomfield Hills Middle School is registered with the Kroger Community Rewards Program. It works through your Kroger Plus Card. Each time you swipe your Kroger Plus Card we earn money for BHMS. All you need to do is click on the Kroger logo above, and link your Kroger Plus Card(s) to Bloomfield Hills Middle School. AmazonSmile is helping to combine your support for the BHSM PTO with your everyday online shopping. It's a simple and automatic way for you to support the PTO every time you shop, at no extra cost to you. BHMS will earn 0.5% on eligible purchases! Note that our school will only receive credit for purchases made on smile.amazon.com, but not for purchases made on amazon.com.